By empowering women of all ages to live their best life, to be happy, centered and fulfilled, we can then reach beyond ourselves to making a difference in the world. More women in powerful positions contributing in the spirit of cooperation, not competition, through inclusive, not exclusive systems. Our search for a better life, a more fulfilling lifestyle, one based on passion and purpose, one where we are happy and fulfilled and functioning at a high level of engagement...that journey begins here in the safety of the nest. 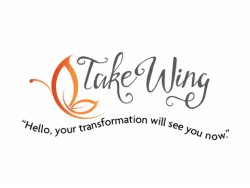 Take Wing offers information, expertise, ﻿services﻿, ﻿﻿self care products ﻿﻿and opportunities to help support and guide you when and where you need it. We are at your service. Where would you like to begin? Bliss is to know the reason you exist, to know your heart’s desire and fulfill it daily, to complete your life; this is when you know your reason for being. Bliss is when what you think, feel, say and do are in alignment. We can only live in the moment: times that have past are treasured memories, and those of the future, wealth in the making. But now is where we live and breathe and love and laugh. Now is what I have to give to you. I am compelled to connect, to engage, to share. There will be a bond between us that none will break, that time and distance will not harm. There will be energy; there will be flow. There are many pathways of discovery to finding this balance-bliss-flow-thing, and finding our place in this world and how to make the best of it. What we will share with you are several alternative modalities, or pathways, for you to achieve your own sense of balance, and increase the flow of creative energy and vital life force that surrounds us all and is in us all. Here lie the true gems, the truths as I have come to know them, about this life we live. These multifaceted gems reveal their true treasure not in the viewing or owning, but in the sharing. Jewels such as these become more beautiful with time. These are the riches I wish to share with you. The age old questions: Who am I? Why am I here? How do I make the best of this life I have been given? What can I do to make my life better? How can I make a difference in the world? Where do I begin? The answers: Right here and right now. Read on and see if any of this resonates, hits home for you. Take time to listen to that still small voice, your spirit, your intuition, to verify and lead you on. Colleen Dunn Saftler, Founder, Take Wing Now Ltd.
Self-love is at the heart of finding and living a happy, fulfilling life. However, before we can love ourselves, we must first know ourselves. "Know Thyself" is an ancient prescription for mental health and well-being, and Self Discovery and Acceptance is at the core of creating a life of meaning and purpose, a foundational step, and where we suggest you start your journey. Do you know who you are, your core values and beliefs? What makes up your sacred space within? When was the last time you took yourself out on a date, or created a spa/self-care day at home? Why haven't you, as yet, been able to manifest the life of your dreams? Do you want more out of life? Do you know what it is that you really, really want? The objective? Life Mastery, where comfort zones are expanded, and we discover that the process itself, the journey and the challenges along the way, are the soul source of our personal growth, meaning, fulfillment and happiness. Create a Kind-Nest in your life! Home is our Sanctuary, a place to feel safe, secure, whole. In "feathering our nest," we create an environment that nurtures our soul and creativity, supports our desired lifestyle, and creates alignment with our passion and purpose. Aromatherapy, Feng Shui, Color Therapy and Psychology all play a part in creating a sacred space that supports you, your family, and your intentions for your Home. Is it a place for family and friends to feel welcome, a quiet sanctuary away from the hustle and bustle of the world, a creative environment where you can solve the problems of the world? Sacred space involves knowing our needs, what supports us and putting our own needs first so that we can in turn be strong and supportive of others. We would want our daughters to be independent, strong, nurtured and have tremendous self-love. Rise above societal programs and include your self with the same compassion you would have for any 5-year old. Be kind, be loving, and show yourself you are worthy of self-love and self-care by creating a kind-nest. And by doing so we become examples to our children of how to do the same. Aromatherapy, Color Therapy and Feng Shui help balance and enhance the positive life force energies that flow in and around us to improve our lives and lifestyles. Creating a Home Sanctuary is part of my personal journey, an integral part. I am grateful for the opportunity to share it with you. Knowing what it is you want and committing yourself to it isn't as obvious as you might think. We all hope that the job that pays us money, supports us and our families, that we give (at least) one-third of our live force to, will also be something that we WANT to do, that fulfills us as we lovingly devote our passion and purpose to it. There are a few we say are "blessed" or "lucky" implying that it might not happen to everyone. And what if that "blessed" state of gainful employment isn't your current lot in life? What if you have trouble motivating yourself to get up and go to work each day? How do you deal with THAT? Here's the Good News...the Universe , Providence, Source, God (whichever works in your paradigm) conspires to give you all manner of support that you really, really need: the answers, tools, abundance, mentors and teachers. It is there, happening all the time, all around us. Here's the kicker: we cannot perceive what we do not believe. To take full advantage of this universal system of abundance showing up when and where it is for your highest and best good, you must first KNOW and then BELIEVE, then commit yourself to in order to be Co-Creator in the Life of your Dreams, and THAT isn't necessarily as obvious as you might think. Everything is, and is in, a relationship. You and Me, Livingkind and the Environment, Cause and Effect, Yin and Yang, Creator and Created. Mathematically, physically, spatially, cosmologically, philosophically, spiritually and relationally speaking, we understand our universe through conscious comparison - in relationship to something else. According to quantum mechanics you (and I) are in a relationship with everything that exists on an energetic level. What we think, feel, say, and do, how we relate, how we project/receive energy, not only effects our inner world, but everyone and everything else. Thus we all have the same power to effect our universe equally. YOU MATTER....and so does everyone else. So how does this effect your relationship with your spouse or children or boss? I'm glad you asked.